Surprise yourself by the Canary Islands Art Centre in Fuerteventura. 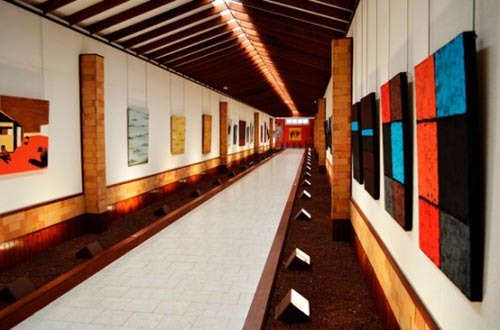 The Canary Islands Art Centre, located in the municipality of La Oliva, has the widest artistic and cultural offer in the island of Fuerteventura. The centre holds a magnificent outdoor sculpture piece, ornamented by fine examples of native flora. In its interior you might see many rooms with different canary art pieces. This center also hosts a space where you might acquire miniatures, pottery, carvings, serigraphy and reproductions. Calle Salvador Manrique de Lara, La Oliva. Monday to friday from 10am till 5pm. Saturdays from 10am till 2pm.